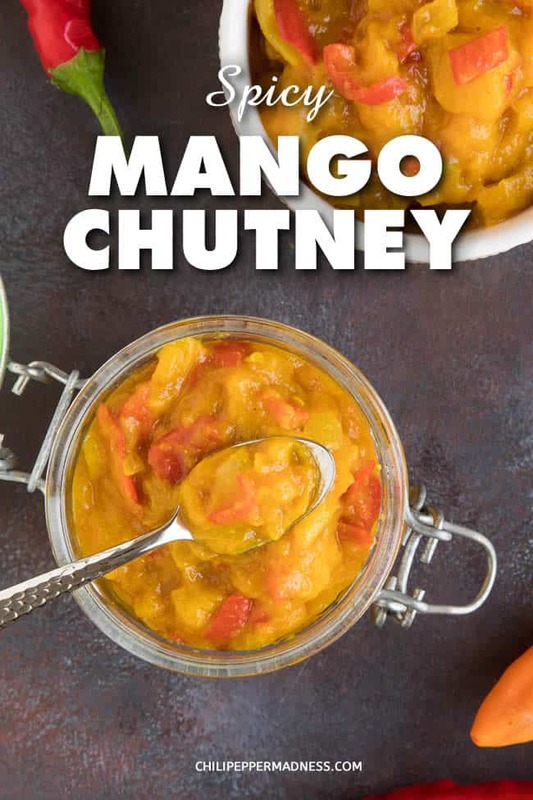 It’s mango chutney time in the Chili Pepper Madness kitchen, my friends, and I think this is a recipe you’re going to want. 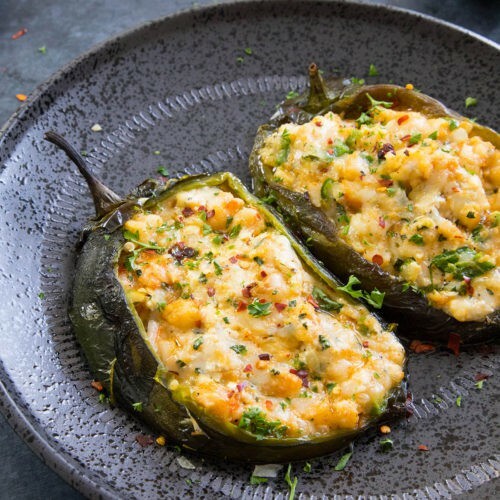 It is a big whirlwind of flavors, with a mix of sweet and savory and spicy all rolled into one, and it’s also a great way to use up some of those peppers from your crazy garden, right? 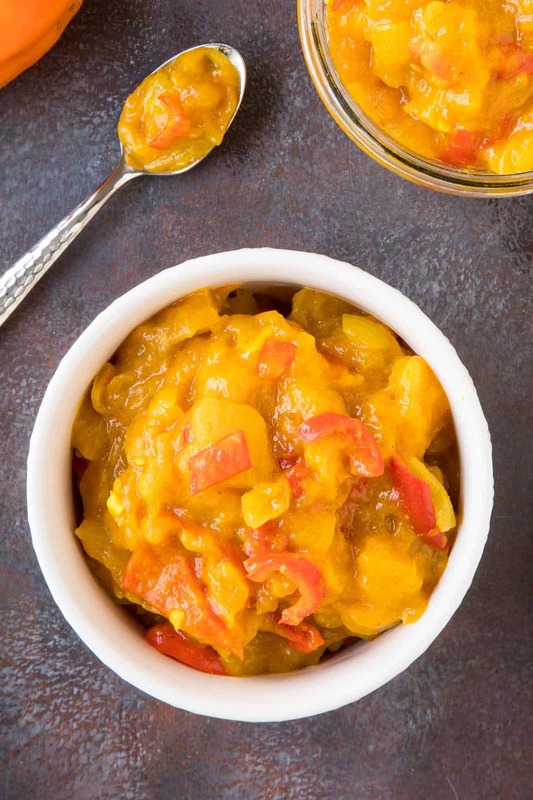 My garden is exploding with peppers right now – it’s just that time of year, so I’m using up some of my sweet and spicy peppers to make up a few batches of chutney to add some zing to my dishes. If you enjoy chutney, this is a recipe you’ll need. 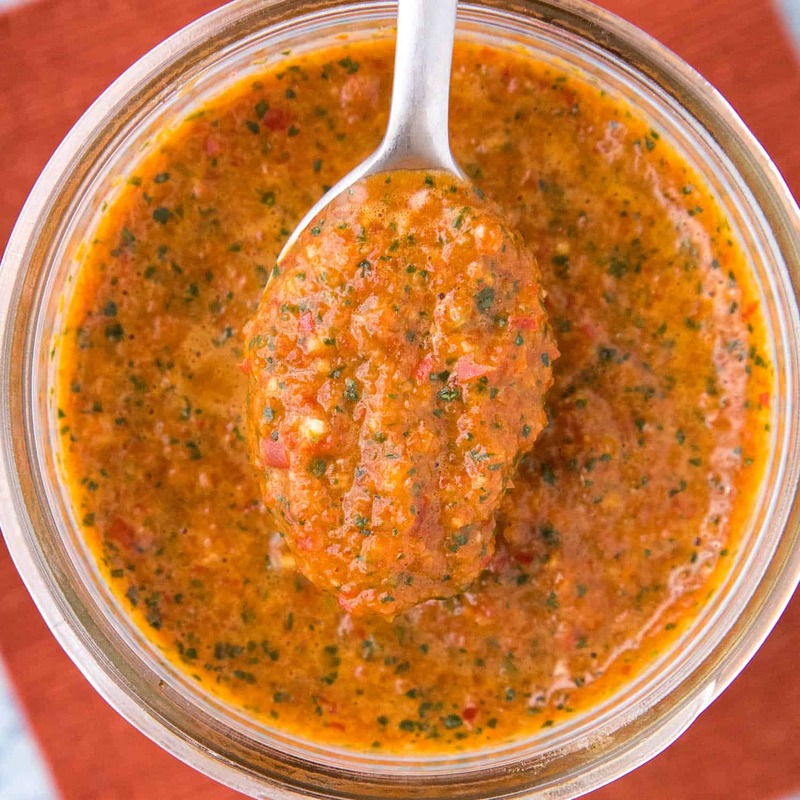 Chutney is a spicy condiment made with a mixture of vegetables and/or fruits, often mixed with vinegar, spices, and some form of sweetener, such as sugar or honey. 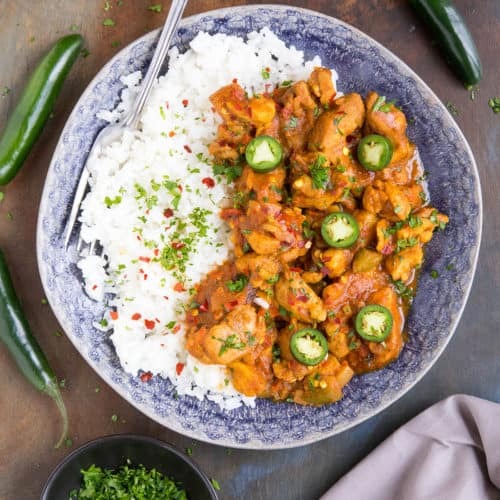 It is originally from India, but its flavor and versatility has helped it spread around the world. 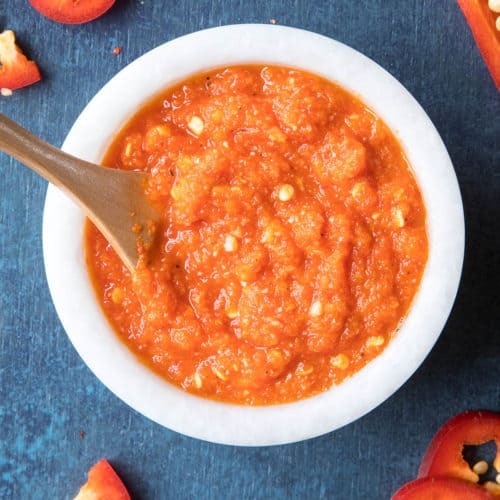 There are many different variations of chutney, really based on the ingredients you’ve decided to use, such as tomato chutney or even easy pepper chutneys. 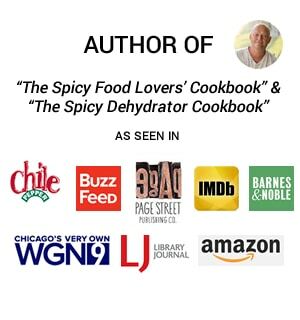 I’ve also picked a random selection of peppers from my garden, though for the recipe, I’m including a write up of using bell peppers and serrano peppers, which are very easy to find in stores. 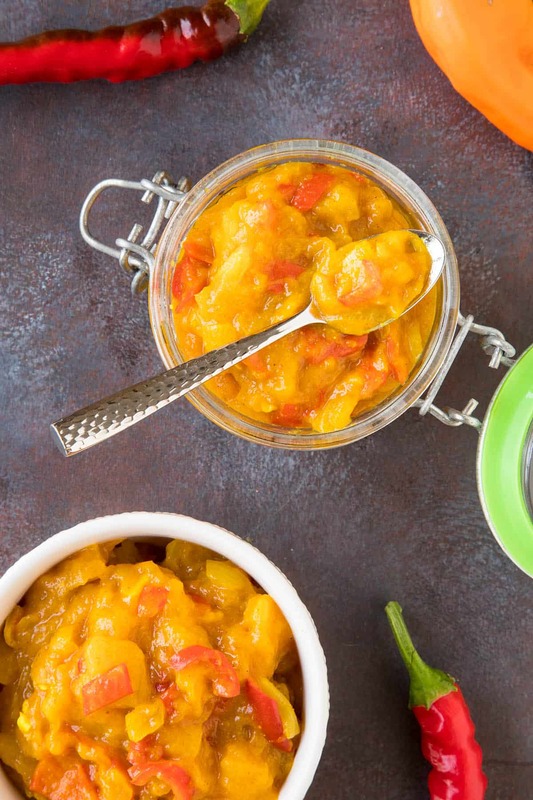 Feel free to make your mango chutney with the peppers of your choice. 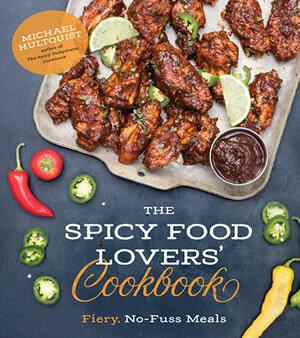 You can really spice it up by including superhot peppers, such as the ghost pepper or a nice 7 Pot chili pepper. Or, make a milder version by using only sweeter peppers. The choice is yours. 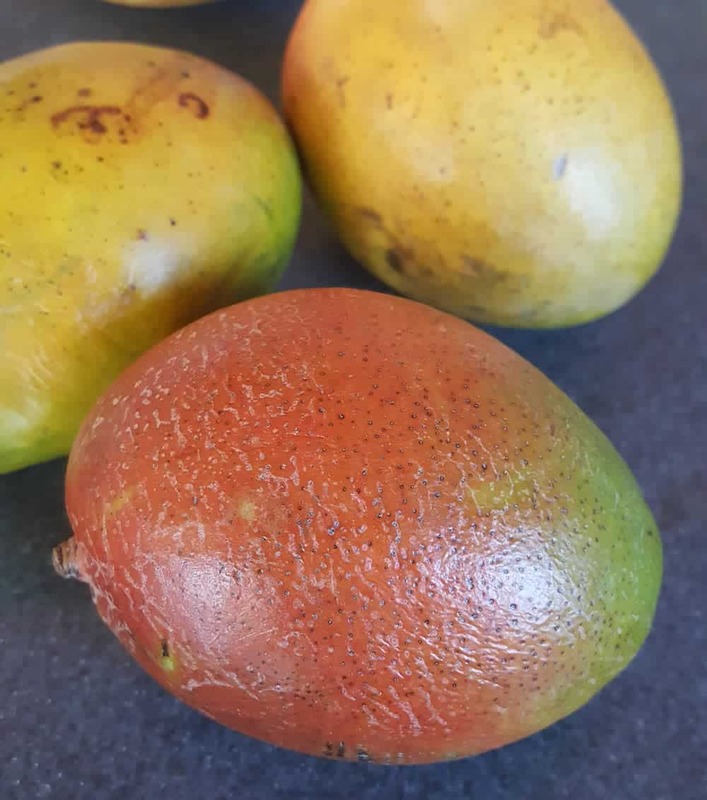 Let’s talk about how we make our mango chutney, shall we? It’s quite easy. First, heat a good sized pot to medium heat and add some olive oil. Add in your onion, peppers and fresh chopped ginger and cook them down until they soften up, about 5 minutes or so. Add the seasonings and cook another minute, stirring. For the seasonings, I’m using curry powder, turmeric, paprika and a bit of salt, though you can easily vary this up. Add in a spicier chili powder or spicy chili flakes if you’d like. Next, add the mango, orange juice, apple cider vinegar, sugar and a pinch of salt. 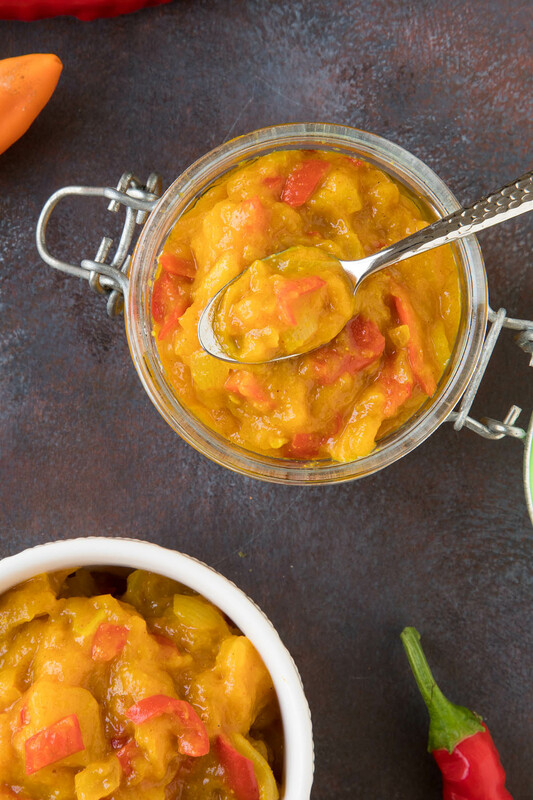 Reduce the heat and simmer the pot for 20 minutes, until the mango chutney is nicely softened and flavorful. It should be soft but not overly mushy. That’s it, my friends! Easy, right? Store in the fridge in airtight containers. Should last about a month. Chutney should be used as a general condiment, which means it is extremely versatile. Spread it over sandwiches for a nice flavor burst. Try it with grilled cheese. Mix it with mayo to make chicken or tuna salad. 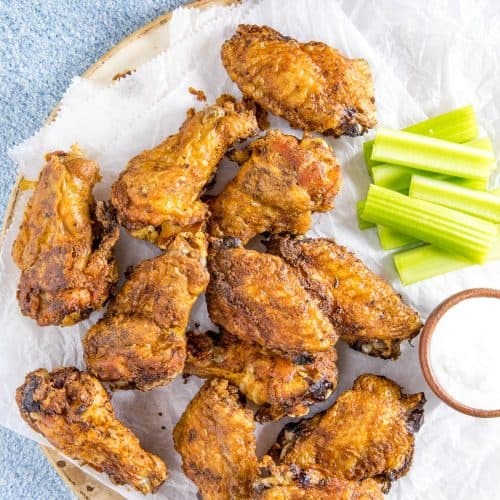 Use it a dipper for fried foods. It is great served over grilled meats, particularly fish and pork. 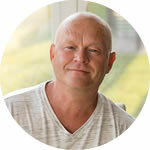 Try it on grilled pork chops for sure! Or a good grilled pork burger! It’s also perfectly at home on a meat and cheese platter. Heat a pot to medium heat and add the olive oil. Add the onion, peppers and ginger and cook until they soften up, about 5 minutes. Add the seasonings and cook another minute, stirring. Add the mango, orange juice, apple cider vinegar, sugar and a pinch of salt. 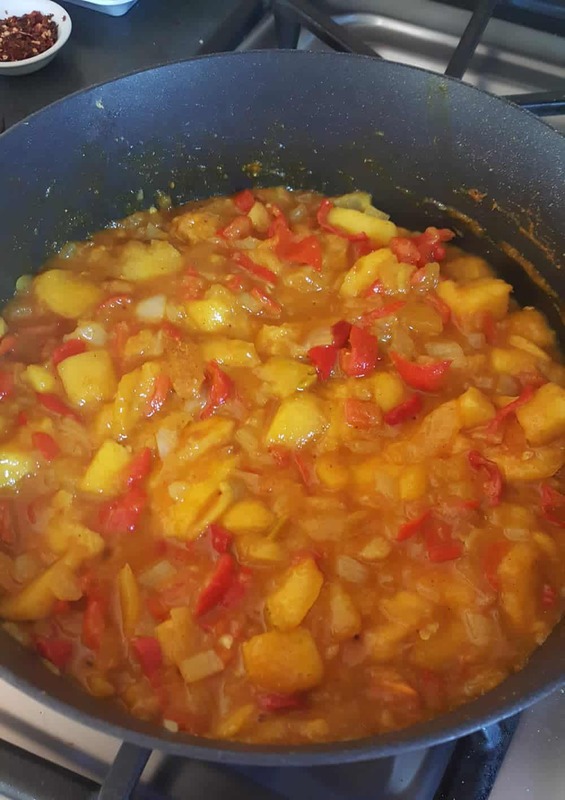 Reduce the heat and simmer the pot for 20 minutes, until the mango chutney is nicely softened and flavorful. 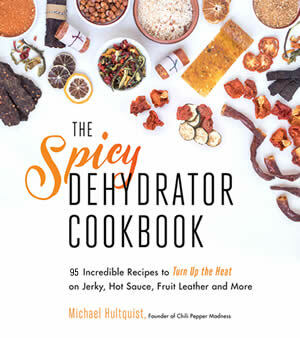 Heat Factor: Medium, though you can easily adjust the heat with hotter or milder peppers, as well as chili flakes and powders. Thanks, Adriana. It should keep for a couple weeks in the refrigerator. Enjoy! Even when I lived in the nearest city, I could seldom find serranos and then only sometimes in ethnic markets. I now live in a rural town with no serranos. Jalapenos are most often sold packaged for double what I paid in the city. Small Thai peppers are sold in pint containers – a lot of small peppers in a pint! I now more than enough of these pickled; eating them fresh means tossing more than half. I joined a CSA (first time); they had jalapenos for only 2 weeks. They were very small and very hot. I asked them to let me know when they were running out so I could get some for preserves. They didn’t respond. There is a farmer’s market once a week but I can’t there on public transit. I just found a way to get there once a month. I will go next week and see what it is like and hope for late (probably red) hot peppers. I will talk to the vendors and hope to find a source for next year. 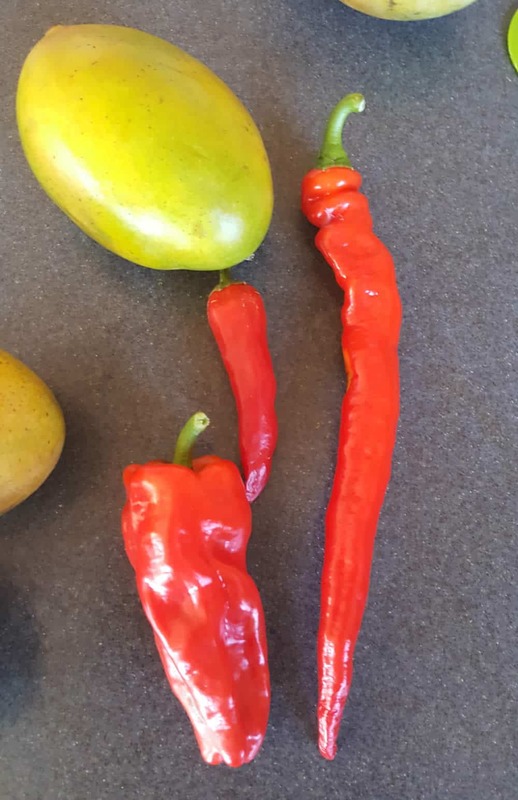 Since I will probably use the tiny Thai peppers for this chutney, how many should I use? Two chopped serranos might equal half a cup. Although I do prefer hot chutney, would half a cup of tiny peppers be hot or HOT? MPaula, I would probably use a small amount of the Thai peppers to test the heat, as you can always add in more for the next batch. 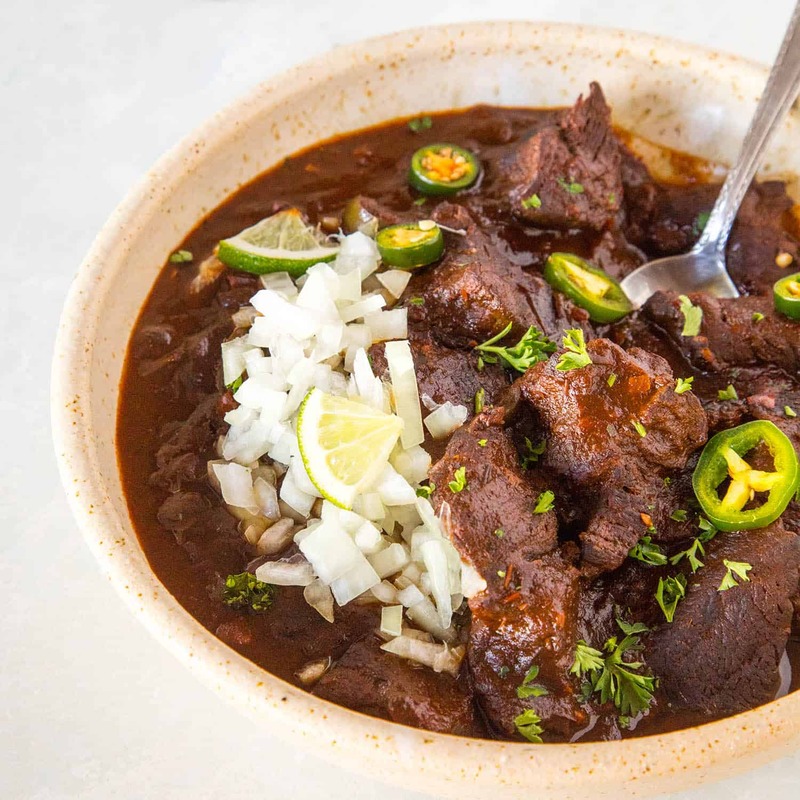 It’s up to your preferred heat preference, though note that the sweetness of the other ingredients will tamp down the heat overall, so you can probably use more than you think. Let me know how it turns out for you.